As October approaches I get even more sentimental over love. But seriously, who doesn't love fall?! It's the perfect season. Pumpkins, leaves, crisp air, apple crisps..ah sweet delights at every turn! To celebrate fall, I've put together some fun fall favors that have struck my eye the past few days. They are full of fall goodness, easy to put together and absolutely fun! 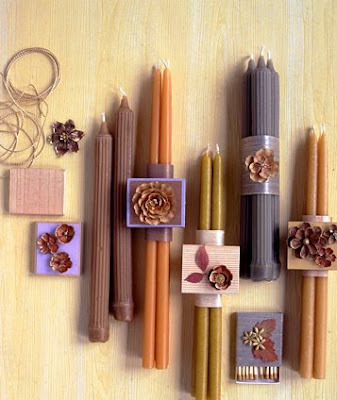 For a unique fall favor, wrap tapers in vellum; dress up with blossoms or a matchbox covered with paper, florets, and real leaves. Tie box to candles with a cord threaded through the box's underside. 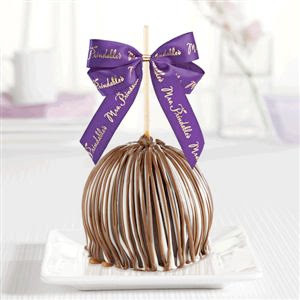 Take caramel apples and have the packaged individually for your guests. Add a touch of personalization with a ribbon that matches your colors. These are great to give to guests as they leave for the night. It's only fitting to give cookies in a jar -- this one is tiny in size but big in old-fashioned charm. The mini store-bought cookies inside include chocolate chip, oatmeal cranberry, and shortbread currant. 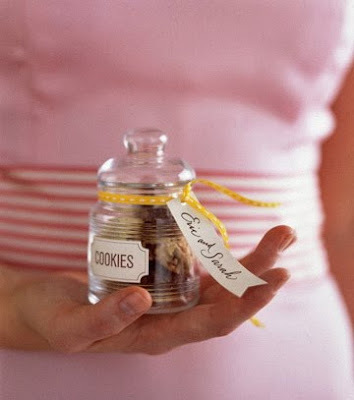 Embellish the jar with a ribbon-tied tag and a homemade label (affix with double-sided tape). A beautiful Fall Leaf sits on top of a square Matt Gold or Chocolate Brown glossy favor box. 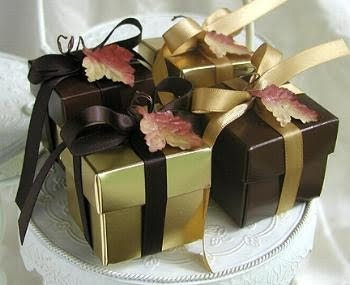 Tied with rich coordinating Autumn Gold or Chocolate Brown Satin Ribbon and filled with sweet treats.